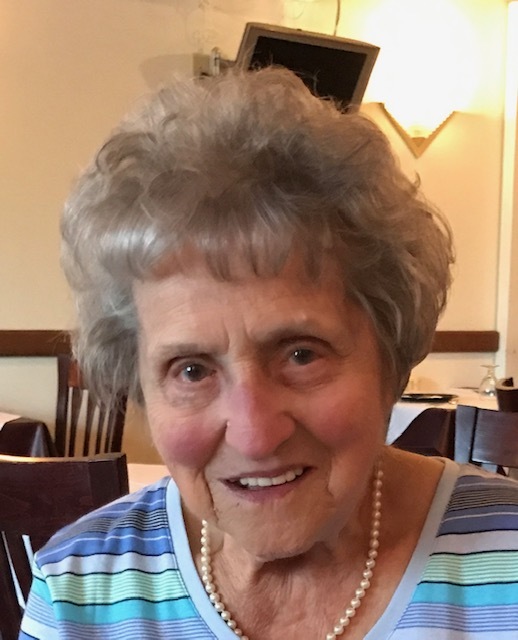 MANCHESTER- Mrs. Lucille E. (Gagné) Ducharme, 90, of Manchester, passed away at the Hillsborough County Nursing Home on January 23, 2019 after a period of declining health. Born in Manchester, Lucille was the daughter of the late Jean Baptist and Hermelia (Gelinas) Gagné. She previously resided in Allenstown and North Port, FL. In earlier years, Lucille was employed in the local mills as a weaver. She later worked for Pandora as a sweater examiner and for Gulton Electronics and Northeast Electronics as a mechanical assembler. She was a past member of the Ste. Therese Rosebush Society. Lucille enjoyed sewing, knitting and crocheting, walking, puzzles and Sudoku. She was predeceased by her husband, Roger M. Ducharme, her infant son, Marcel, and her siblings: Florence Lagasse, Jeannine Durant, Gabrielle Chalifour, Gertrude Johnson, Edgar Gagne and Roger Gagne. She is survived by her children: Ronald Ducharme and his wife Joanne of Hooksett, Denise Singleton of Manchester, Lillian Spurgeon and her husband Richard of Franklin, MA and Doris Helie and her husband William of Derry. She is also survived by 6 grandchildren, 12 great grandchildren and her sister, Therese Bedard of Manchester.